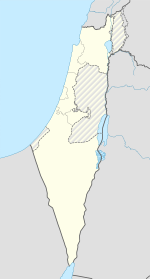 Umm al-Fahm (Arabic: أمّ الفحم‎, Umm al-Faḥm; Hebrew: אֻם אל-פַחְם Umm el-Fahem) is a city located 20 kilometres (12 miles) northwest of Jenin in the Haifa District of Israel. In 2017 its population was 54,240, nearly all of whom are Arab citizens of Israel. The city is situated on the Umm al-Fahm mountain ridge, the highest point of which is Mount Iskander (522 metres (1,713 feet) above sea level), overlooking Wadi Ara. Umm al-Fahm is the social, cultural and economic center for residents of the Wadi Ara and Triangle regions. In 1872, Charles Tyrwhitt-Drake noted that Umm al-Fahm was "divided into four quarters, El Jebarin, El Mahamin, El Maj’ahineh, and El Akbar’iyeh, each of which has its own sheikh." In the 1945 statistics the population was counted together with other Arab villages from the Wadi Ara region, the first two of which are today part of Umm al-Fahm, namely Aqqada, Ein Ibrahim, Khirbat el Buweishat, al-Murtafi'a, Lajjun, Mu'awiya, Musheirifa and Musmus. The total population was 5,490; 5,430 Muslims and 60 Christians, with 77,242 dunams of land, according to the official land and population survey. 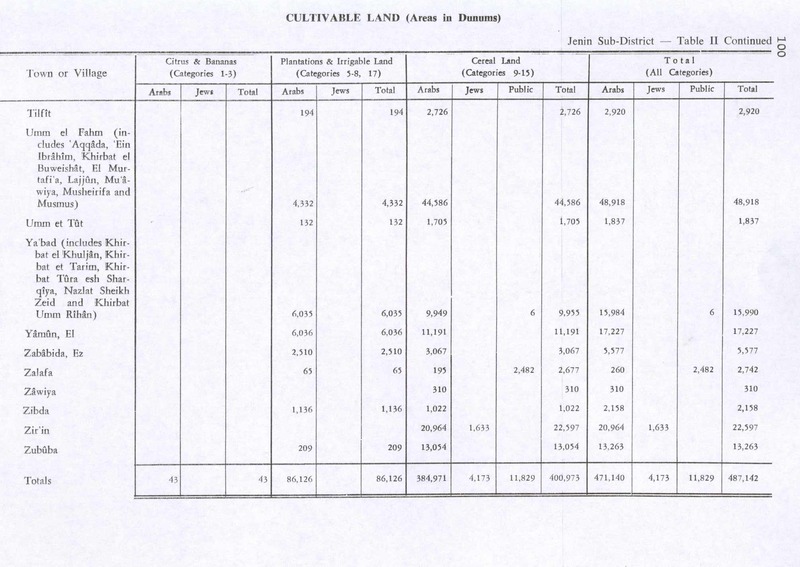 4332 dunams were used for plantations and irrigable land, 44,586 dunams for cereals, while 128 dunams were built-up (urban) land. Since the 1990s, the municipality has been run by the Northern Islamic Movement. Ex-mayor Sheikh Raed Salah was arrested in 2003 on charges of raising millions of dollars for Hamas. He was freed after two years in prison. Sheikh Hashem Abd al-Rahman was elected mayor in 2003. He was replaced in November 2008 by Khaled Aghbariyya. Today the mayor is Samir Sobhi Mahamed. In a survey of Umm al-Fahm residents conducted by and published in the Israeli-Arab weekly Kul Al-Arab in July 2000, 83% of respondents opposed the idea of transferring their city to Palestinian jurisdiction. Because of the proximity to the border of the West Bank, the city is named very often as a possible candidate for a land-swap in a peace treaty with the Palestinians to compensate land used by Jewish settlements. The latest proposal by Avigdor Lieberman for a population exchange was rejected by Israeli Arab politicians as ethnic cleansing. Since the establishment of Israel, Umm al-Fahm has gone from being a village to an urban center that serves as a hub for the surrounding villages. Most breadwinners make their living in the building sector. The remainder work mostly in clerical or self-employed jobs, though a few small factories have been built over the years. According to CBS, there were 5,843 salaried workers and 1,089 self-employed in 2000. 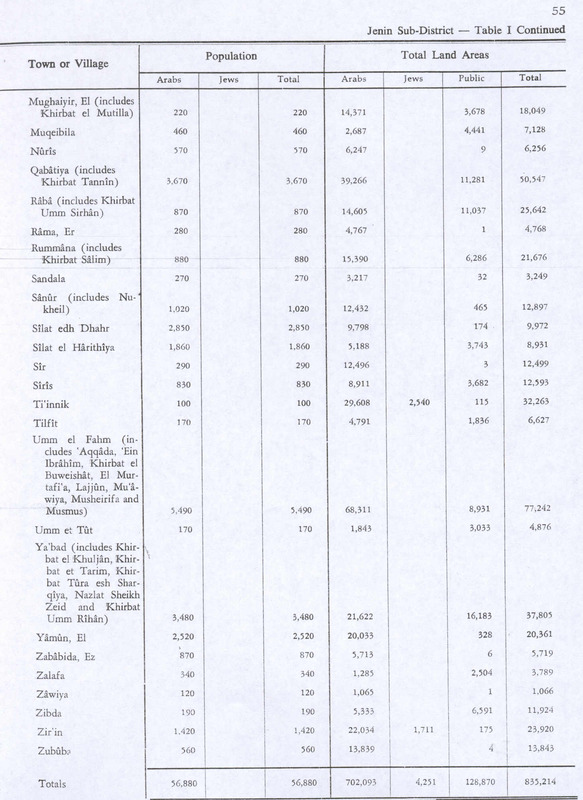 The mean monthly wage in 2000 for a salaried worker was NIS 2,855, a real change of 3.4% over the course of 2000. Salaried males had a mean monthly wage of NIS 3,192 (a real change of 4.6%) versus NIS 1,466 for females (a real change of −12.6%). The mean income for the self-employed was 4,885. 488 residents received unemployment benefits and 4,949 received an income guarantee. In 2007, the city had an unofficial 31 percent poverty rate. According to CBS, there are a total of 17 schools and 9,106 students in the city: 15 elementary and 4 junior high-schools for more than 5,400 elementary school students, and 7 high schools for more than 3,800 high school students. In 2001, 50.4% of 12th grade students received a Bagrut matriculation certificate. The Umm al-Fahm Art Gallery was established in 1996 as a venue for contemporary art exhibitions and a home for original Arab and Palestinian art. The gallery operates under the auspices of the El-Sabar Association. Yoko Ono held an exhibition there in 1999, and some of her art is still on show. The gallery offers classes to both Arab and Jewish children and exhibits the work of both Arab and Jewish artists. In 2007, the municipality granted the gallery a large plot of land on which the Umm al-Fahm Museum of Contemporary Art will be built. Green Carpet is an association established by the residents to promote local tourism and environmental projects in and around Umm al-Fahm. The city has several football clubs. Maccabi Umm al-Fahm currently play in Liga Leumit, the second tier of Israeli football. Hapoel Umm al-Fahm played in Liga Artzit (the third tier), prior to their folding in 2009. As of 2013[update], Achva Umm al-Fahm play in Liga Bet (the fourth tier) and Bnei Umm al-Fahm play in Liga Gimel (the fifth tier). ^ a b Zafrir, Rinat (3 December 2007). "Green Cities / Wasting away". Haaretz. Retrieved 25 October 2008. ^ "Riot police called in as Arabs and extremists face off in Israel". Heraldsun.com.au. Retrieved 7 August 2013. ^ , Esther. "إثر مسيرة استفزازية نفذها العشرات من أنصار اليمين". Al-Arabiya. Retrieved 27 October 2010. ^ "Statistical Abstract of Israel 2012 – No. 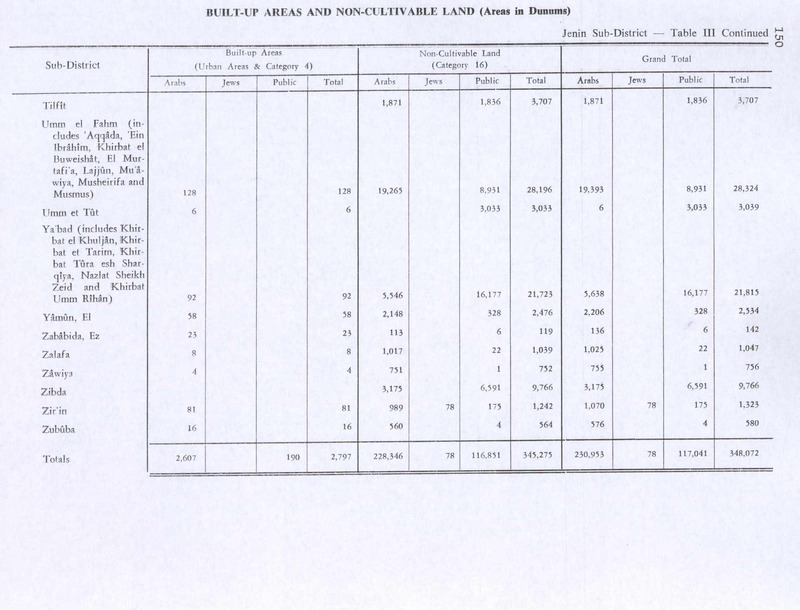 63 Subject 2 – Table No. 15". .cbs.gov.il. Archived from the original on 20 October 2013. Retrieved 7 August 2013. ^ Bassam Eid. "The Role of Islam in the Israeli-Palestinian Conflict" (PDF). Israel/Palestine Center for Research and Information. Archived from the original (PDF) on 2 June 2010. ^ David Rudge. "Strong Islamic Sentiment Drives Arab Elections" (PDF). Jerusalem Post. Archived from the original (PDF) on 4 June 2011. ^ Gordis, Daniel. "Saving Israel: How the Jewish People Can Win a War That May Never End". John Wiley & Sons, 2009. ^ Israeli, Raphael. "Fundamentalist Islam and Israel: essays in interpretation". Jerusalem Center for Public Affairs, 1993. p 95. ^ a b c Prince-Gibson, Eetta (8 November 2007). "Land (Swap) for Peace?". The Jerusalem Post. Retrieved 25 October 2008. ^ Ashkenazi, Eli (30 March 2004). "Umm al-Fahm Mayor Welcomes Possible Return of Lands". Haaretz. Retrieved 25 October 2008. ^ "The Results: Umm al-Fahm". Mynet. 12 November 2008. Retrieved 12 November 2008. ^ "Umm el-Fahim Art Gallery". Retrieved 25 October 2008. ^ Patience, Martin (10 March 2006). "Israeli Arab Gallery Breaks Taboos". BBC. Retrieved 25 October 2008. ^ a b "The Israel Football Association". Football.org.il. Retrieved 7 August 2013. Ibn al-Furat (1971). Riley-Smith, J. (ed.). Ayyubids, Mamluks and Crusaders: Selections from the "Tarikh Al-duwal Wal-muluk" of Ibn Al-Furat : the Text, the Translation. 2. Translation by Malcolm Cameron Lyons, Ursula Lyons. Cambridge: W. Heffer. Robinson, E.; Smith, E. (1856). Later Biblical Researches in Palestine and adjacent regions: A Journal of Travels in the year 1852. London: John Murray. Tyrwhitt-Drake, Charles F. (1873). "Mr. Tyrwhitt-Drakes Reports". Quarterly statement - Palestine Exploration Fund. 22: 28–31. Zertal, A. (2016). The Manasseh Hill Country Survey: From Nahal ‘Iron to Nahal Shechem. 3. Brill. ISBN 9004312307.